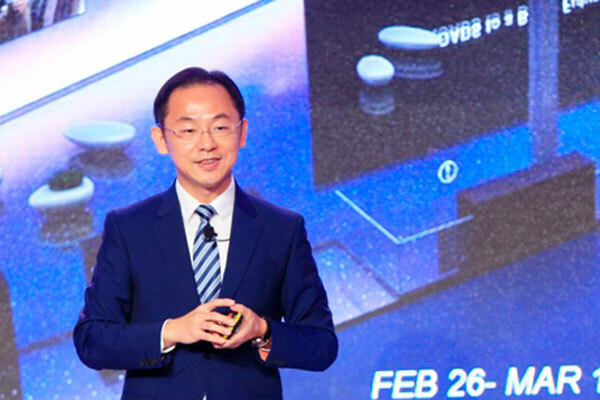 Huawei, a leading global ICT solutions provider, recently emphasised the importance of all industries to work together and go beyond traditional boundaries to achieve fully-connected, intelligent world. Huawei made the statements during a media and analysis briefing held ahead of the Mobile World Congress 2018, which will take place from February 26 to March 1, in Barcelona, Spain. The media and analysis briefing highlighted Huawei’s views on emerging trends in the context of its latest product launches, with a particular emphasis on 5G, said a statement. At the upcoming event, Huawei will launch over 20 new products, showcase the results of its cooperation with over 300 partners, host five forums, and engage in many other activities to share its practices and exchange views with the industry, it said. Huawei believes that the 4th Industrial Revolution – where ICT networks are the foundation and AI is the enabler – is bringing us to an intelligent world where all things will sense, be connected, and intelligent resulting in a digital transformation market worth $23 trillion. However, progress should be made by all stakeholders in the areas of capabilities, connections, business, experience, and partnerships to tackle the traditional obstacles and shape a better future. With the intense amount of focus and investment across the Middle East into ICT capabilities – empowered and encouraged by regional governments’ vision agendas – Huawei’s developments will likely contribute significantly to the region’s development of Smart City infrastructure and the total enablement of the Internet of Things. “We will focus on ICT infrastructure and smart devices to provide a plot of 'rich soil' for the development of information, automation, and intelligence technologies. In this 'soil', partners can grow their content, applications, and cloud,” he said. “Before entering the intelligent world, we are still faced with many challenges. To achieve sustainable business growth, we need to keep moving beyond existing constraints and boundaries, first internally and then externally,” he added. Ding called on all industries to go beyond the boundaries in the areas of capabilities, connections, business, experience, and partnerships and together shape a better future. In 2018, Huawei will invest CNY5billion ($788.40 million) in R&D for 5G, and launch a full range of commercial 5G equipment, including wireless access networks, bearer networks, core networks, and devices. Additionally, Huawei will drive the large-scale commercial deployment of NB-IoT networks around the world, and increase the number of NB-IoT connections to over 100 million. Many of these 5G offerings will be on full display in Barcelona, showcasing Huawei’s ability to enable all-online data, operations automation, and intelligent decision-making. They will help carriers deliver a real-time, on-demand, all-online, DIY, and Social (Roads) experience through their internal O&M processes.